I would like to say a massive thank you to everyone involved in making Megan’s Challenge Fun Run/Walk on Sunday such a huge success. My thanks to all those who took part in both the 10k and the Mini Run/Walk you were all amazing and hope you all enjoyed it. A special thanks to Jeff and Helen Reed whose help is invaluable. To Timer – Carl Manning, Starter/Emergency Contact – John Bennett. 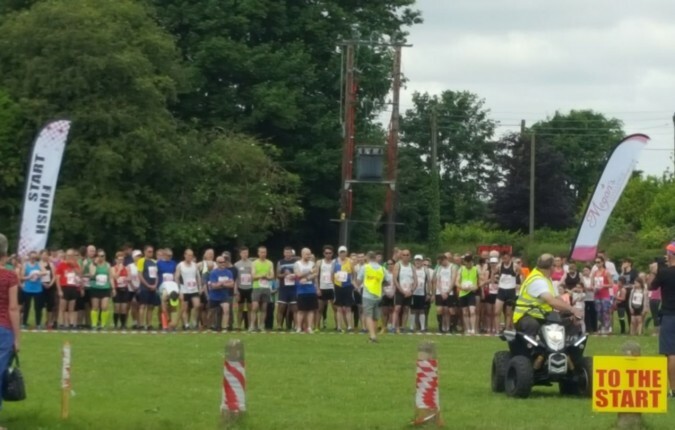 To all the brilliant Race Marshals, Paramedic – Carl Smith, Lead Quad – Shane Rasberry, Parking Co-ordinators, First Aiders, Water Station, Registrars, Cake Makers, Raffle – Jan Manning (all those who donated), Photographers, Baggage Attendants, Transport. Thank you also to Neville Knights – Race Adjudicator. Nicola Smith – PCSO, David Marsham – Landowner (without his permission the event wouldn’t be possible) and last but not least McChoppys for fab food. We have raised £2,236 for the King’s Lynn QEH Special Care Baby Unit and West Newton Dedicated Dementia Ward. Thank you and also for all the many lovely and positive compliments we have received which are really appreciated. Our winner Steve Claxton setting a race record of 35 mins 30 sec, closely followed my Callum Stanforth our previous years winner. For race results see Megan’s Challenge Facebook page. We are organising our annual Megan’s Challenge 10k and Mini Fun Run/Walk which will take place on Sunday 28th May 2017 around the village of Gayton, Norfolk. Following track and road, starting and finishing at Gayton Social Club. The Mini is approximately 1.5 miles. Both are suitable for people of all ages and abilities from the most competitive runner to those who just like to walk. The club is also the location for registration, race control, information, baggage, toilets, event stalls, refreshments and first-aid. Registration is from 9.00am to 10.00am prompt. Race starts 11.00am. The minimum age to take part on event day is 6 years old. Children under 8 must be accompanied by an adult for the duration of the run. Anyone under the age of 18 must have parental consent to take part. The event this year is to raise monies for King’s Lynn QE Hospital Special Care Baby Unit and the West Newton Dedicated Dementia Ward. There is an entry fee – £12 Adult/£6 Child (entry on the day £14 Adult/£7 Child) The registration entry form can be found on the Run Britain website www.runbritain.com – races. Entry forms also available from Gayton Social Club, Gayton Goslings and Howards Butchers, Gayton. We are hoping to attract up to 150 participants, so come and join in the fun and help our chosen charities.